LORDE RELEASES NEW SINGLE "YELLOW FLICKER BEAT" FOR HUNGER GAMES: MOCKINGJAY - PART 1"
Today, Lorde premiered her new single for "The Hunger Games: Mockingjay-Part 1" film. The single, called "Yellow Flicker Beat" is the lead song off the soundtrack and it now available on iTunes now. "Yellow Flicker Beat" is a moody, synth-pop tune, fitting for the Hunger Games franchise that launches into a military-like beat with a rising chorus that lifts from the dark ashes. 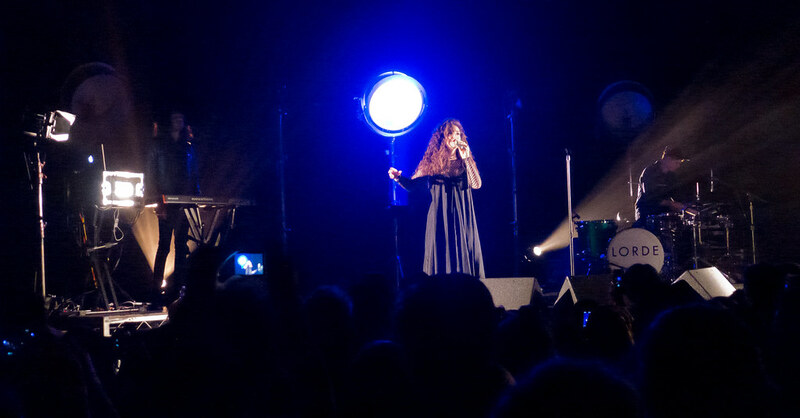 Lorde, the multi-platinum Grammy Award-winning artist from New Zealand, is currenlty on her North American Tour that began at this year's Coachella Festival in August. She makes her Los Angeles Greek Theater debut on October 6th & 7th. 10/2 – Greek, Berkeley, Calif.
10/9 – Santa Barbra Bowl, Santa Barbra, Calif.